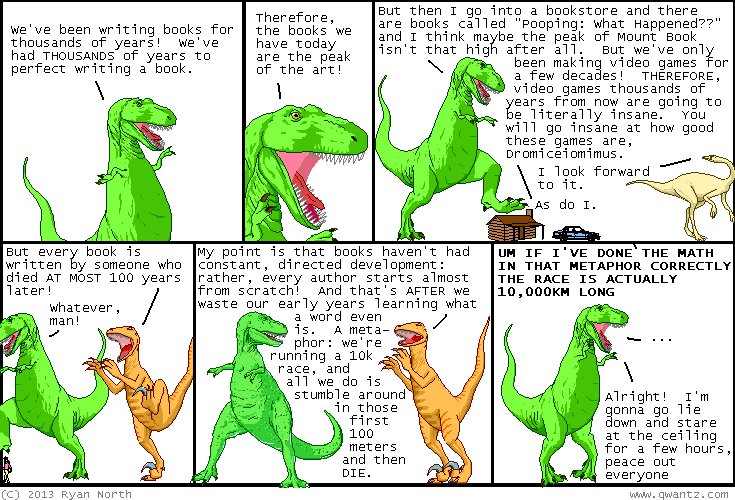 Dinosaur Comics - February 13th, 2013 - awesome fun times! –It was an exciting time to be saying "Forsooth"! February 13th, 2013: A poem!